Welcome to this classic 2 bedroom, 2 bathroom, 1701 sqft single story home in Verano, an exclusive 55+ Active Adult community in prime Santa Clarita location. Classic meets modern with white and beige colors throughout, along with loads of upgrades. 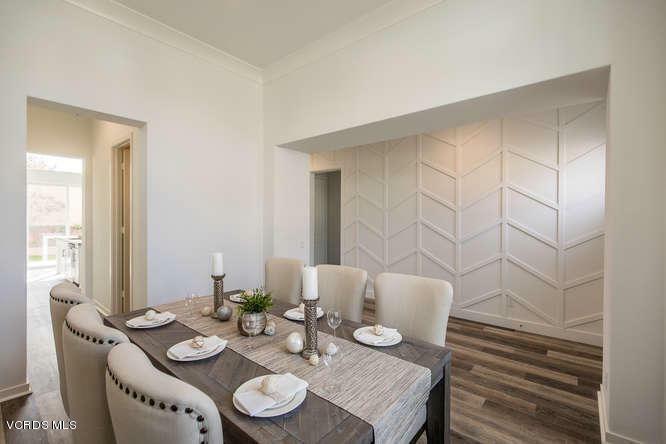 Open to wood floors, white paneled feature wall, and spacious dining room perfect for entertaining. 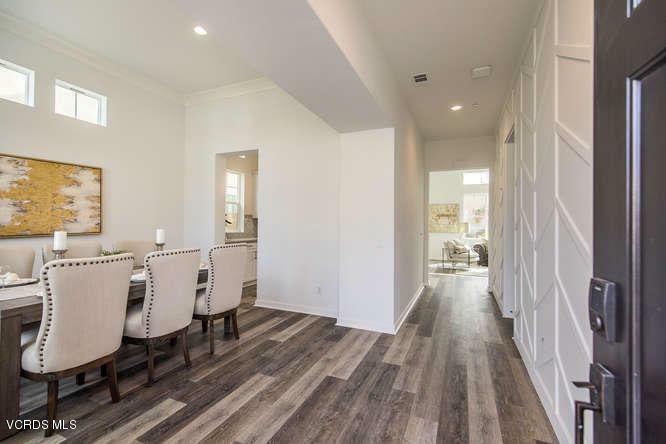 The inviting great room has a gorgeous kitchen with white cabinets, granite counters, lovely tile backsplash, and a huge island for gathering guests. Incredible butlers pantry connects the kitchen and dining room. 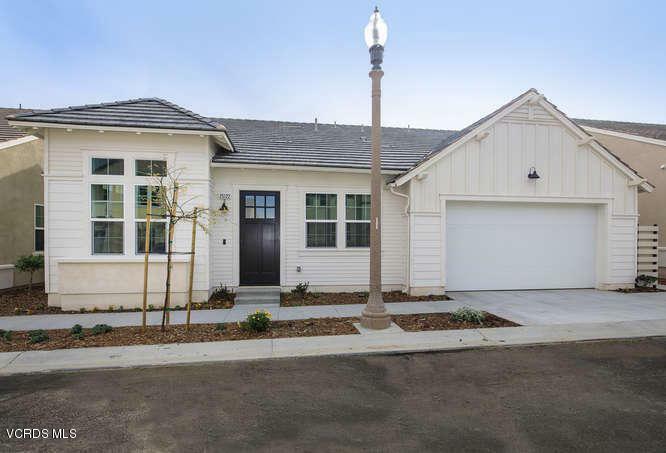 Desirable floor plan has first floor master bedroom with gorgeous light fixture. Master bath has dual white vanities, oversized tiled shower, and huge walk in closet. Guest suite has attached bath with tub/shower combo. The landscaped private backyard has a large patio with charming lights and grassy area for furry friends! Verano offers an award winning private clubhouse that includes pool, spa, bbq area, workout facility, wine storage, and endless options for community activities. 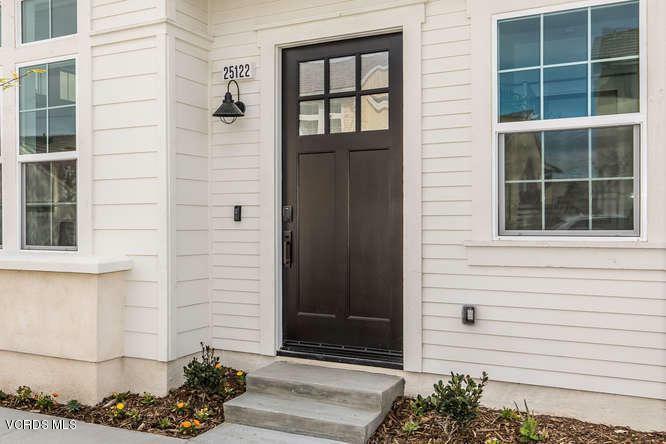 Don't miss this fantastic opportunity to own a brand-new move in ready home! Call for a private showing, or come by the Block Party on February 9th to take a tour, grab a bite, and meet community members. Welcome home! Listing provided courtesy of Tina Marie Hare DRE#01062657 of Century 21 Troop Real Estate. Association Amenities BarbecueClub HouseFire PitFitness CenterGated CommunityGuest ParkingHiking TrailsOutdoor Cooking Area Association Name Verano Builders Name Pardee Country United States Of America Cross Streets Via Princessa To Marsha Mclean Parkway Green Energy Efficient Electrical/Lighting Green Energy Generation Solar Hoa Fee Frequency1 Monthly Hoa Fee1 225.0 Hoa Fee2 177.0 Hoa YN Y Land Lease Amount Per Year 0 Land Lease Type Other Legal Disclosures Cc And RHomeowners Association Listing Terms CashConventional Lot Size Source Builder Property Sub Type Condominium Security Safety Gated Community Special Conditions Standard Sale Square Footage Source Builder Tax Mello Roos Yes Will Consider Lease YN N Year Built Source Builder Zoning .